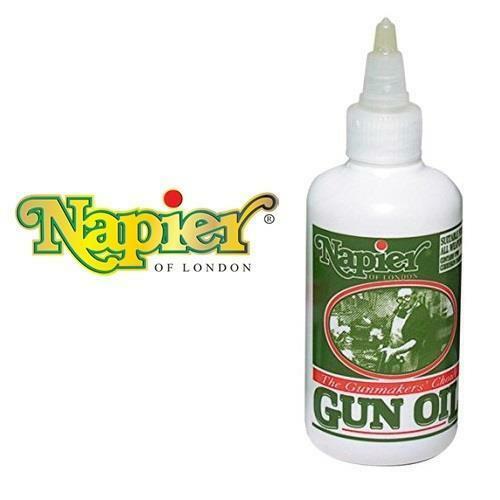 Napier Gun oil is the last word in protection for any firearm. Containing VP90 corrosion inhibitors for contact and vapour phase action this oil has the ability to penetrate into even the most inaccessible parts of the gun to provide complete protection from corrosion. Napier Gun Oil will not break down under extremes of temperature and will keep ejectors and action protected. The high surface adhesion properties help to keep the oil where it is needed and make removal of finger marks a simple matter of wiping over thegun.